Intuition is the ability to sense a situation through non-logical means, often also called a “gut feeling.” This type of inner knowing can come in the form of images in your mind’s eye, or a voice in your head, or simply as an impression, perception, or feeling. Maybe you know who’s calling before you see their name on your caller ID, or can intuit an unfaithful partner or fraudulent boss. Perhaps you have a feeling your sister is sick, and when you call, she’s home with the flu. These are not coincidences; these are examples of your intuition at work. Trust me, whether you realize it yet or not, you have innate intuitive abilities and are most likely using them in small ways every day. As a spiritual teacher and energy healer, I have heard countless stories from students about intuition at work, like a feeling to slow down right before a car accident takes place in front you, or a voice that tells you to go straight home and you discover later that the grocery store you had planned to stop at was robbed. Sometimes you may not find out the reason your gut sent you down a side street or otherwise gave you a message, but learning to trust your intuition will not only keep you walking your true soul path, but could literally save your life. You already receive these types of “knowings” because the gift of intuition is present in your cellular memory. Intuition is often belittled or dismissed in our modern society that relies so heavily on tangible, left-brain proof, but thousands of years ago our ancestors knew the value of spiritual talents. These ancient people cultivated their intuition and other psychic abilities, and that knowledge is still available to you. Your intuition and ability to “see beyond” have been lying dormant within you since you were born—you just have to know how to wake those skills up. Reigniting the fire of your third eye starts with your third eye chakra. Though intuition may be called a gut feeling, it is not your third chakra that governs it, but rather, your sixth. Your sixth or third eye chakra is the source of seeing, insight, thought, wisdom, and intuition—all forms of knowing. When your sixth chakra is cleared of negativity, charged, balanced, and spinning properly, your imagination and creativity will blossom, and your psychic sight and other spiritual talents, including intuition, will develop and grow, providing you with the wisdom you need to follow you true spiritual path. On the other hand, a blocked or distorted sixth chakra can result in a disconnection from your intuition, and may prevent you from trusting what you see physically and with your third eye. Those “inner knowings” will decrease or disappear altogether, and you can easily lose your way without the guidance of your wise internal voice and gut perceptions. So you want to be sure your sixth chakra is healthy. 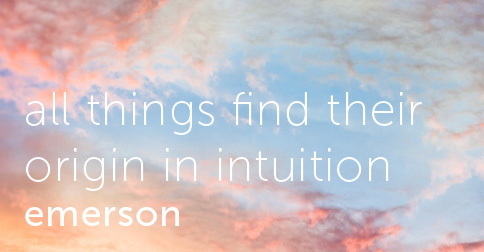 Intuition can help to guide you on your spiritual path, but only if you’re able to perceive it! Here are a few great ways to heal your sixth chakra, improve your intuition, and make sure you’re open enough to hear your internal wisdom. 1. Listen to the wise voice inside. Intuition often appears as the small quiet voice of wisdom in your head, and your job is simply to listen for it and honor its gentle guidance with your actions. That voice represents the best parts of you, the deepest parts of your soul where all your best qualities are kept, so it will never steer you wrong. If you don’t hear that voice, it may be because it was silenced by trauma or stuck negative emotions or a closed sixth chakra. If you ignore that voice for too long, it can eventually clam up, but it’s never too late! Energy healing techniques like meditation and journaling can help release any limiting emotions in your body, chakras, and field, and help you learn to hear and trust your intuition again. Since the sixth chakra is all about sight, and intuition is about seeing beyond, visualizations both heal and develop the sixth chakra, and increase your intuitive powers. You can do this by creating images of random places or things to project on the internal screen of your mind, or you can picture yourself in specific situations, or imagine desired outcomes that you would like to manifest. Before you tackle a project or begin a new task, visualize positive results. Any way you do your visualizations, strengthening this skill improves all your sixth chakra processes of seeing and knowing. A balanced sixth chakra helps you to see the truth, reinforcing the positive aspects of intuitive knowing. A blocked sixth chakra and weakened intuition make it difficult for you to see and accept the truth, which makes it nearly impossible to trust your intuitive perceptions. If there are issues in your life that you have avoided seeing, it may be time to release those blinders and open your eyes. Journaling is especially important for getting at your own personal truth, and other energy medicine techniques like meditation and connecting to nature will also allow you to listen to your inner guidance and hear the truth when it is given to you.